Hey all! 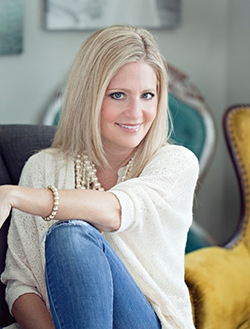 I just got back from a whirlwind trip in NYC for the Better Homes and Gardens Stylemaker Event. As always, the event was so much fun! Apparently, I didn’t lather my body in enough hand sanitizer (not kidding) on the airplane because I came home with a cold. Booo! Those germs did not have permission to take rent in my body! Don’t they know this is a busy time of year for bloggers to decorate for all the seasons??! No time to be sick. I’ve been meaning to show you the update to our family room (aka Hearth Room) after I took a poll on this post with 10 different coffee table options. 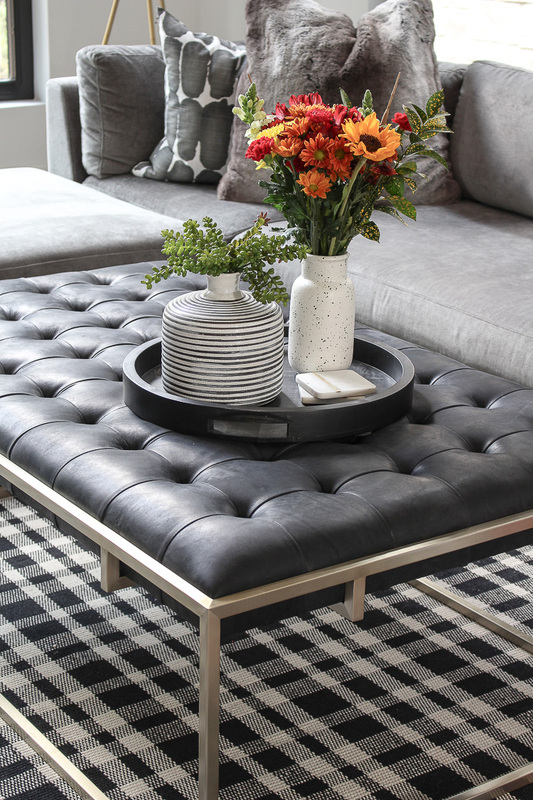 Take a look now at our cozy fall family room with our new tufted leather coffee table! I went back and forth so many times and really thought I wanted a round wood table in here, but ultimately I wanted comfort. This room has become so popular in our home where we all gather to watch Sunday football or netflix. We needed to be able to kick up our feet and relax. You guys, I LOVE this tufted coffee table! The color, the quality, so good!! What do you know it goes out of stock the day I share it with you, but it is still available in this gorgeous brown leather HERE. If you’re heart is flipping out like mine though over the black, then I found almost the identical one in that rich ebony color HERE. The only sign of fall in our cozy family room for the moment is this pretty fall bouquet from my hubby. One of my dearest friends, Bree (ZDesignatHome) came back from NYC with me so Tim knew me well and figured I’d want pretty flowers to make the home look fall-perfect. So sweet of him! See that furry pillow in the background? That’s become my BFF all day today as I’ve snuggled it with a runny nose. I may even drag it to bed with me and I’m about to buy another one because it is so super soft and so on trend for fall. I’d like to give you one more update about this room. THIS RUG. Ya’ll went crazy over it when I first shared it on Instagram and here on the blog. Since we’ve had it, Gucci (our 7 lb overweight yorkie) has tinkled on it once. So guilty. Don’t let his cuteness fool you. Kodak (our rambunctious labradoodle) lost his dinner on it last night. Not that you wanted to hear those details (sorry! ), BUT I wanted to let you know it cleans up beautifully! Nothing soaked through and just beaded up on the surface. 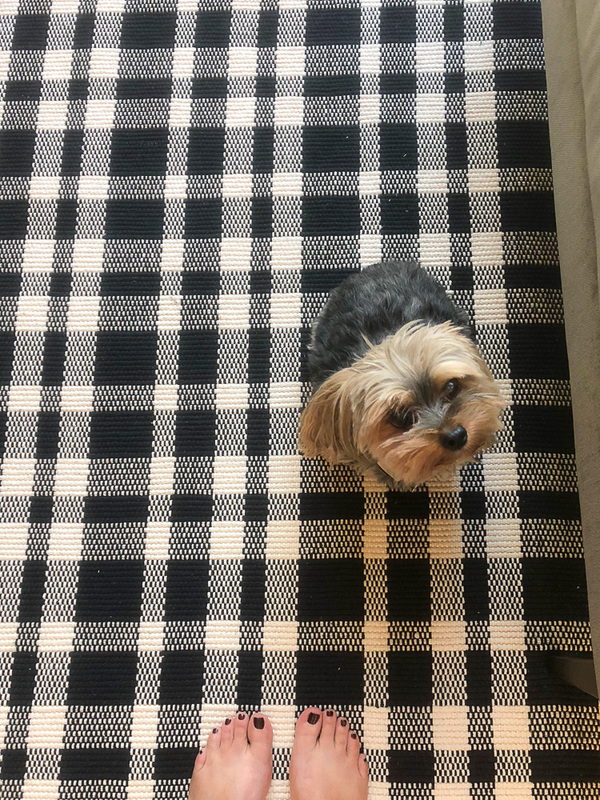 So, needless to say, if you need a good, inexpensive rug that will hold up to kids and dogs, look no further. Besides, this one is so versatile in design and is very photogenic. That matters, right? 😉 Imagine it at Christmas time with a Christmas tree in here! Can’t wait. I highly recommend adding this awesome rug pad beneath it to keep it from slipping and for added cushion. Ps. That gorgeous beaded chandelier just went back in stock too, you’re welcome. Note that it is more of an ambient light rather than light up a whole room kind of light. In case you’re wondering when I’ll really get my home all fall-cozy and styled. I’m working up to it. Seems like yesterday I just moved all those boxes from our previous home into our basement storage and now I’m kind of dreading opening them back up. Maybe I’ll just settle for furry soft pillows and fall flowers from my hubby. I so love this room! And your table choice is perfect – it looks great and so comfy. Thanks for continuing to share the evolution. Hope you feel better! Hi Barbara! Thanks so much for your feedback! I’m glad you like how it’s coming together. Thank you for following along! Love your chandelier! I’m going to look for a white/ off white one for my bedroom. Your new ottoman is gorgeous! But, I think I would have gone with an oval or round one with your sectional. That’s just me. What a stunning room! 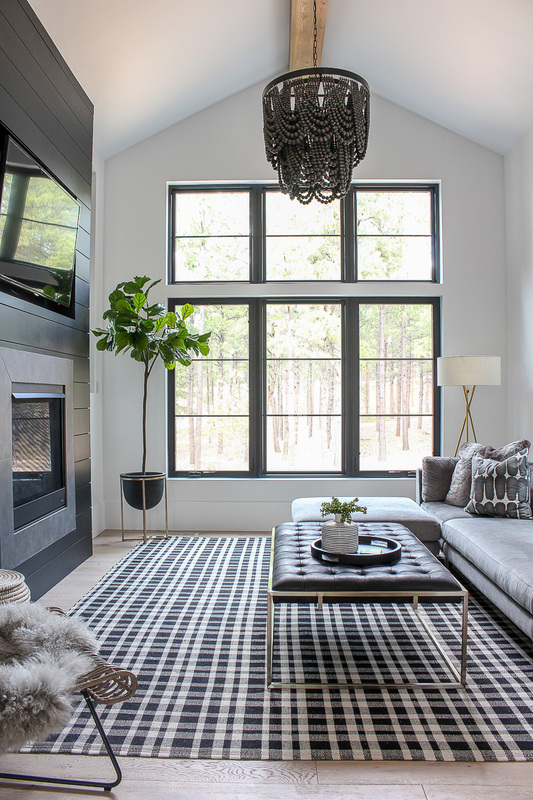 I love everything especially the black framed windows with the forest beyond. That view will always be there regardless of how you furnish or accessorize. You must love looking out on that every day! Thank you Mary! I do feel like we have all the “framed art” we need, just outside our windows! It’s been a very peaceful feeling to look out to. Thanks for your sweet comment!